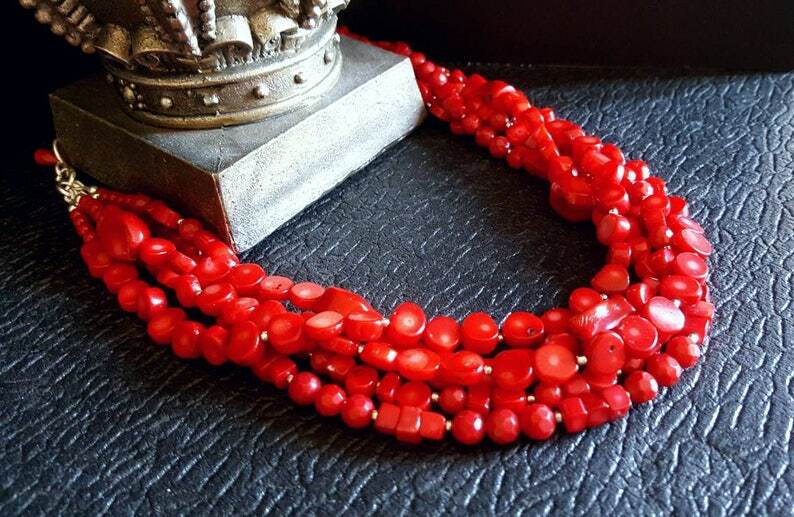 Five strands of red branch coral in sizes 10mm coin shape, 6mm cubes, 6mm faceted rounds and 10-12 branch nuggets are beaded with sterling silver spacers and gathered into this beautiful statement necklace. 20" long and has a sterling silver over sized hook clasp. 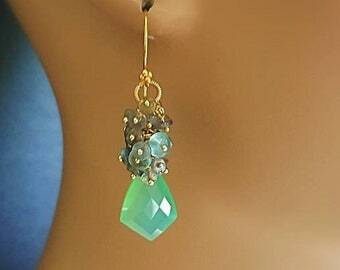 Has a 8mm teardrop charm added to the closure. The red coral is natural with little to no matrix. The color has been enhanced for consistency. 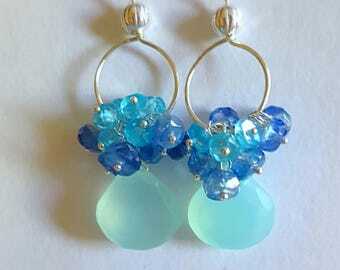 Beads are highly polished to a gleaming shine. Although this necklace has many strands, it is very easy to wear, not cumbersome and lays well on the body. It is also surprising ly lightweight making it very comfortable to wear all day if you want. 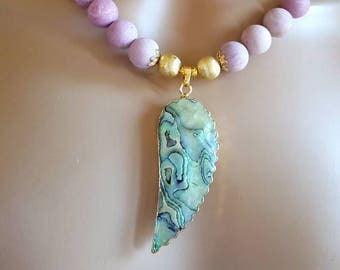 Makes a beautiful necklace for any occasions, a beach wedding? Absolutely!